Center for Weight Loss Success :: Why Choose Us? Dr. Clark’s Center for Weight Loss Success is a special place that evolved as a result of striving to understand the unique needs of people who want to lose weight. Dr. Thomas W. Clark’s professional passion is to help people lose weight and this gives true meaning to what he does every day. It began with weight loss surgery and has culminated into not only the most effective and affordable weight loss surgery options, but a full continuum of services for anyone who wants to lose weight and keep it off for life. 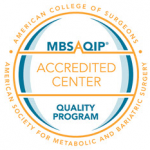 You no longer have to seek services for weight loss surgery, medical weight loss, weight loss nutritionals and outstanding weight loss fitness at multiple locations. It is now all available in one convenient location…Dr. Clark’s Center for Weight Loss Success. One of the great things about having experienced professionals guiding you through your weight loss journey is the fact that they know what works…and what doesn’t. They also understand how important it is to focus on what you “can” do instead of what you “can’t” do. Your surgical or medical weight loss program needs to be customized to address your particular challenges with a plan to replace unhealthy behaviors with new habits you can actually live with. Dr. Clark has surrounded himself with a team of caring professionals who share his vision of the highest quality services provided in a customized, motivating, effective and affordable way. The result is what everyone wants…successful weight loss so you can feel your very best and enjoy a happy, healthy life in ways you never thought possible.